Surfing and Sustainability presents a new way of understanding the impact of surfing on the environment, society and the economy, providing important insights into the field of sustainability and arguing that the activity of surfing offers a unique opportunity to explore the ambiguity of sustainability. The book contextualises surfing within current debates on sustainability and applies these debates to an innovative theoretical framework drawn from elements of a risk society and sociotechnical transitions. The book discusses the capacity of surfing to influence behaviour, both at an individual and organisational level, exploring sustainability from a range of perspectives including industry, the charity sector, media and celebrity culture. Featuring a range of international case studies, it analyses the greening of the surf industry through topics such as ECOBOARD surfboard manufacturing, business innovation and branding, environmental activism, information technology and surf forecasting, as well as the expansion of artificial wave technology. 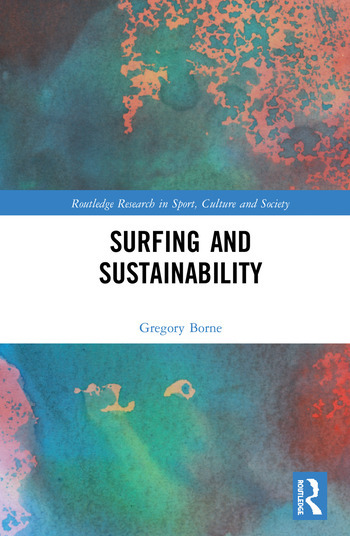 The book also considers the future directions of surfing and how the inclusion of surfing in the 2020 Olympic Games will impact sustainability debates. This is important reading for academics and scholars, as well as undergraduate and postgraduate students working and studying in sports studies, sociology, geography, economics, psychology, marine science, coastal management and economics. It is also a valuable resource for practitioners across the globe. Gregory Borne is Director of the Plymouth Sustainability and Surfing Research Group at Plymouth University, UK.